Colonial experience was profoundly structured by disease, as expansion brought people into contact with new and deadly maladies. Pathogens were exchanged on a scale far greater than ever before. Native populations were decimated by wave after wave of Old World diseases. In turn, colonists suffered disease and mortality rates much higher than in their home countries. Not only disease, but the idea of disease, and the response to it, deeply affected both colonizers and those colonized. 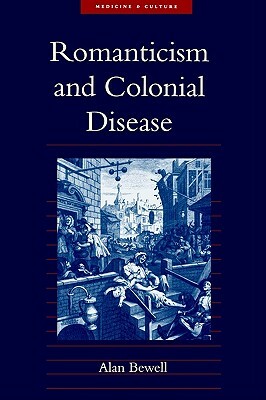 In "Romanticism and Colonial Disease, " Alan Bewell focuses on the British response to colonial disease as medical and literary writers, in a period roughly from the end of the eighteenth century to the middle of the nineteenth century, grappled to understand this new world of disease. Bewell finds this literature characterized by increasing anxiety about the global dimensions of disease and the epidemiological cost of empire. Colonialism infiltrated the heart of Romantic literature, affecting not only the Romantics' framing of disease but also their understanding of England's position in the colonial world. The first major study of the massive impact of colonial disease on British culture during the Romantic period, "Romanticism and Colonial Disease" charts the emergence of the idea of the colonial world as a pathogenic space in need of a cure, and examines the role of disease in the making and unmaking of national identities. Description: Colonial experience was profoundly structured by disease, as expansion brought people into contact with new and deadly maladies. Pathogens were exchanged on a scale far greater than ever before. 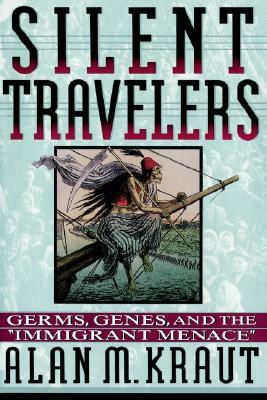 Native populations were decimated by wave after wave of Old World diseases. In turn, colonists suffered disease and mortality rates much higher than in their home countries. Not only disease, but the idea of disease, and the response to it, deeply affected both colonizers and those colonized. In Romanticism and Colonial Disease, Alan Bewell focuses on the British response to colonial disease as medical and literary writers, in a period roughly from the end of the eighteenth century to the middle of the nineteenth century, grappled to understand this new world of disease. Bewell finds this literature characterized by increasing anxiety about the global dimensions of disease and the epidemiological cost of empire. Colonialism infiltrated the heart of Romantic literature, affecting not only the Romantics' framing of disease but also their understanding of England's position in the colonial world. The first major study of the massive impact of colonial disease on British culture during the Romantic period, Romanticism and Colonial Disease charts the emergence of the idea of the colonial world as a pathogenic space in need of a cure, and examines the role of disease in the making and unmaking of national identities. Alan Bewell is a professor of English at the University of Toronto.